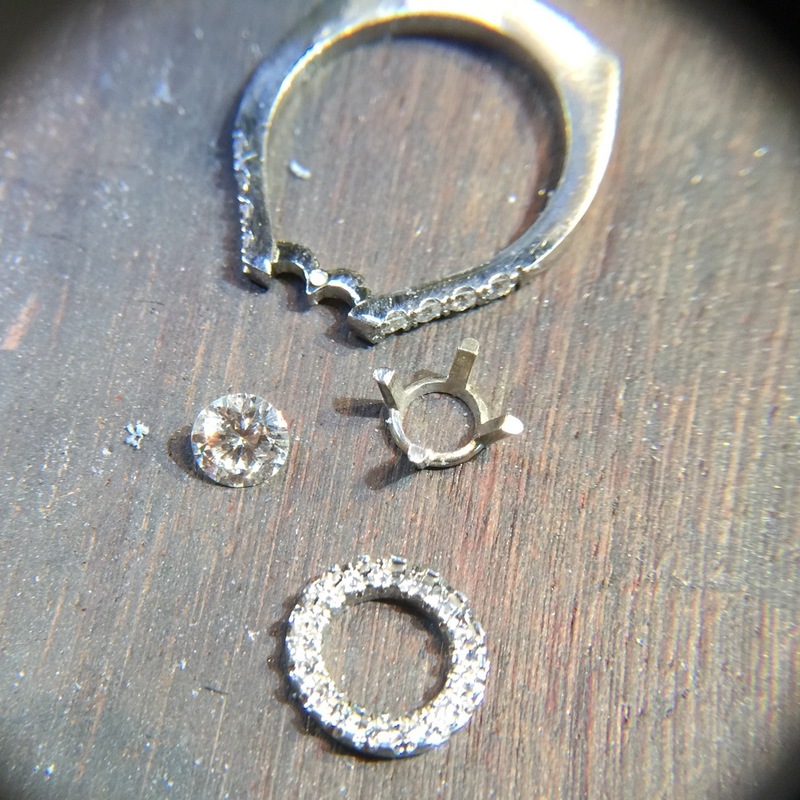 Creative remount using her pendant. 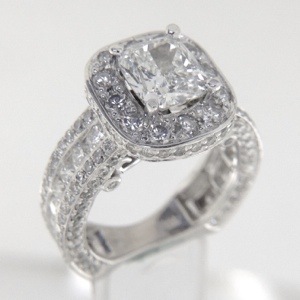 I like this remount idea. 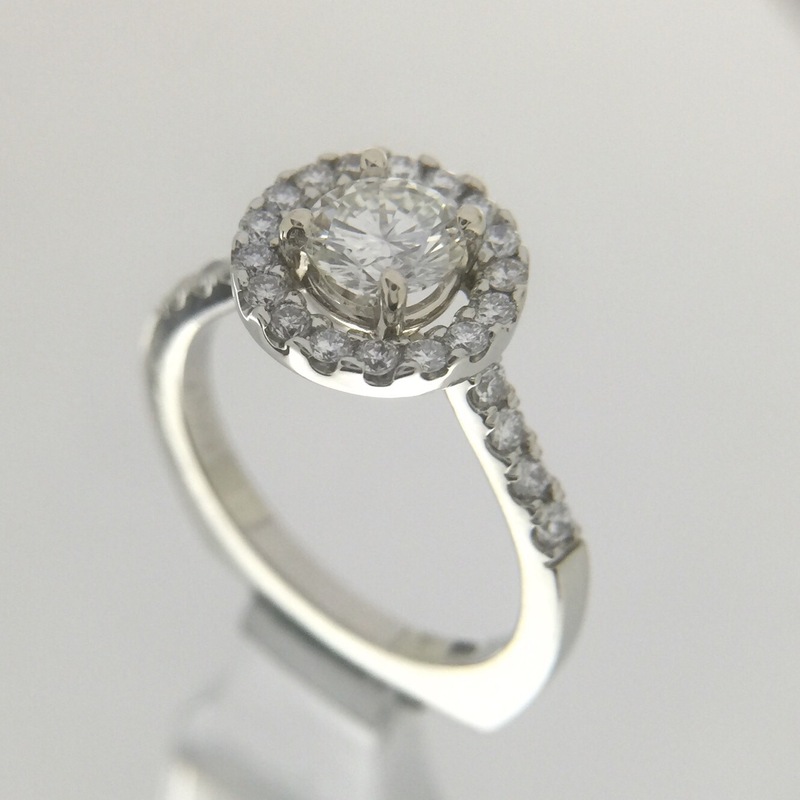 Custom halo for cushion cut diamond. 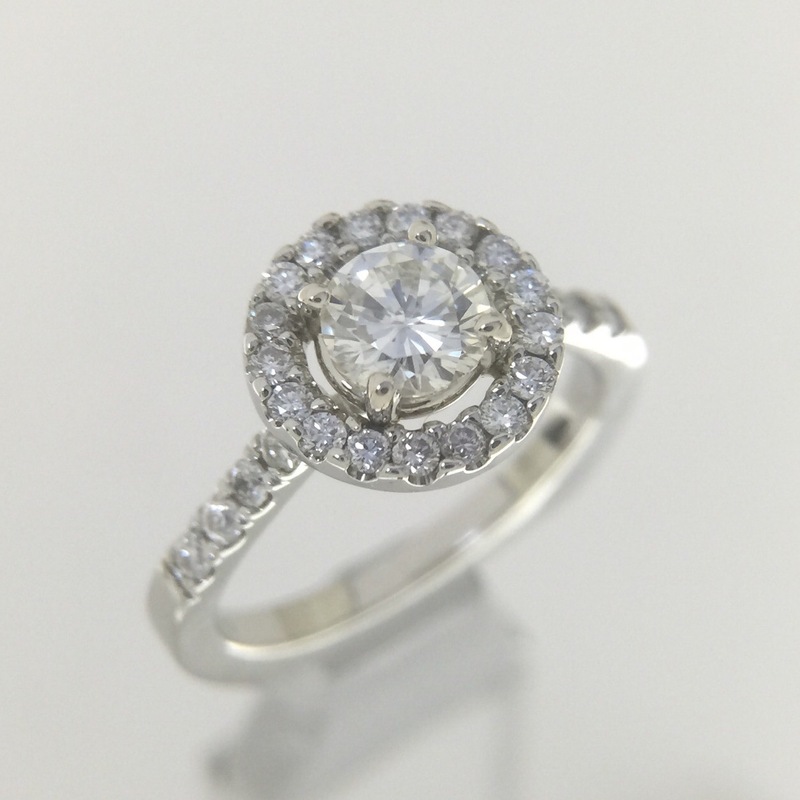 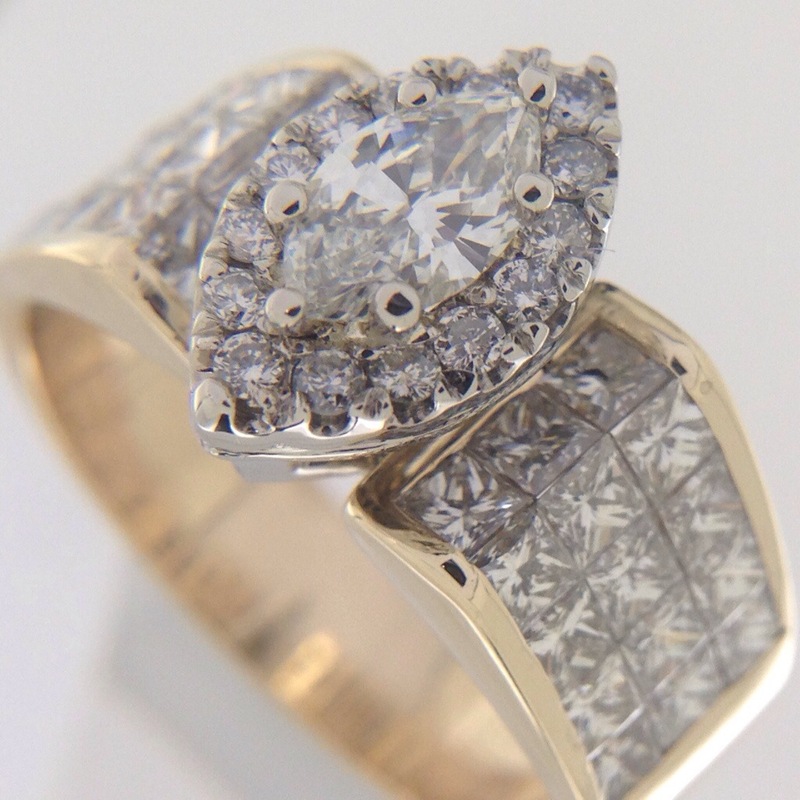 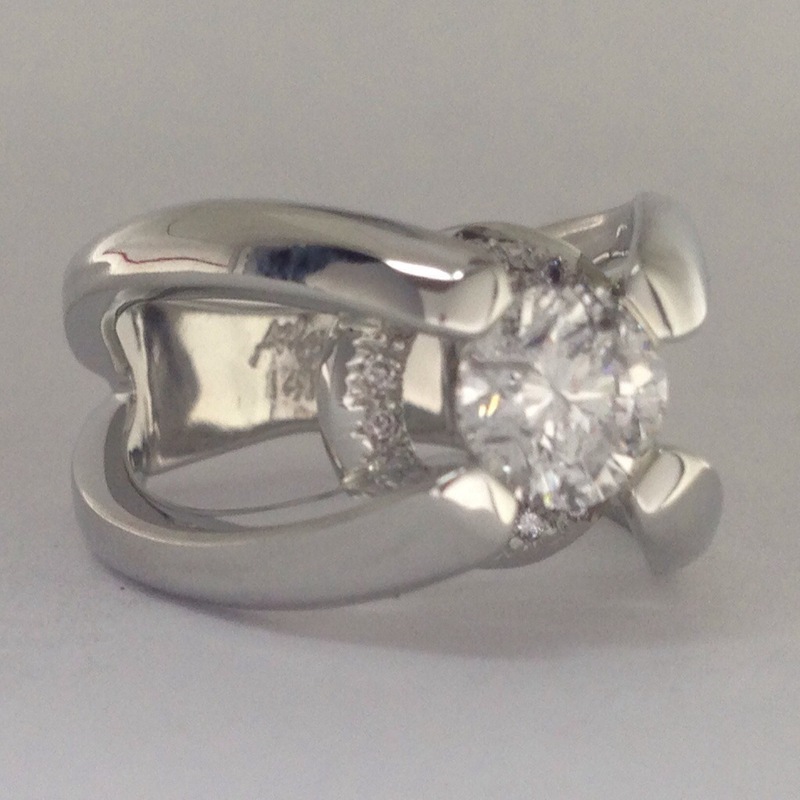 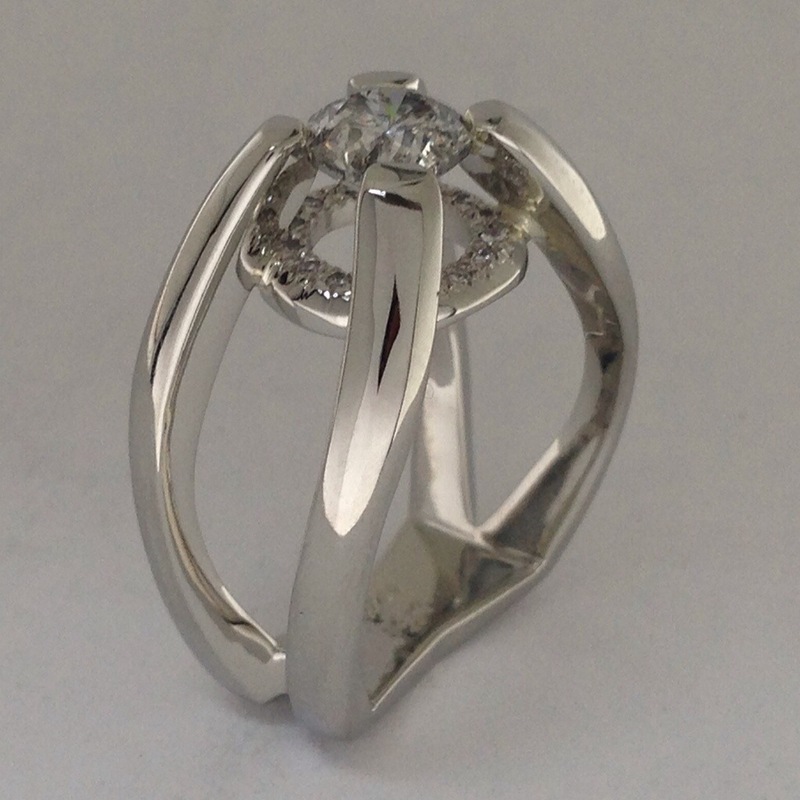 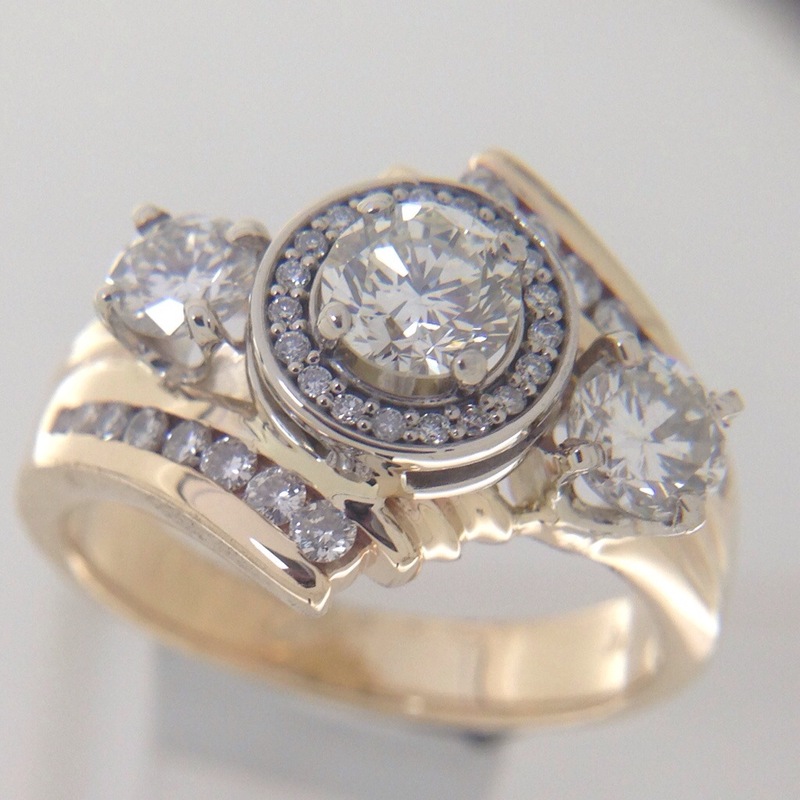 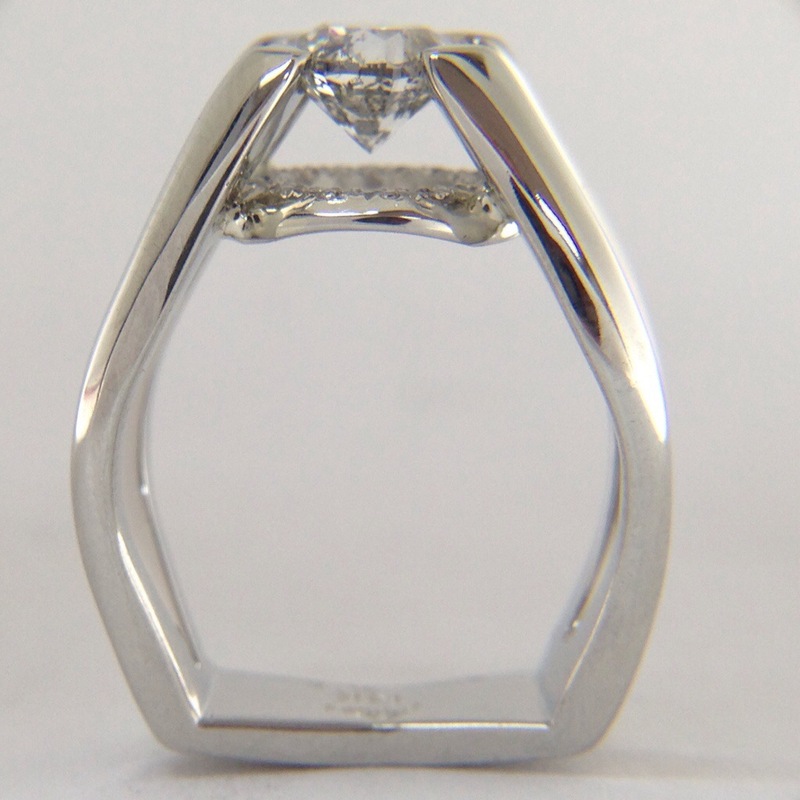 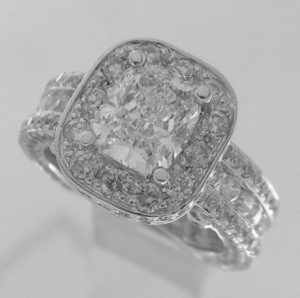 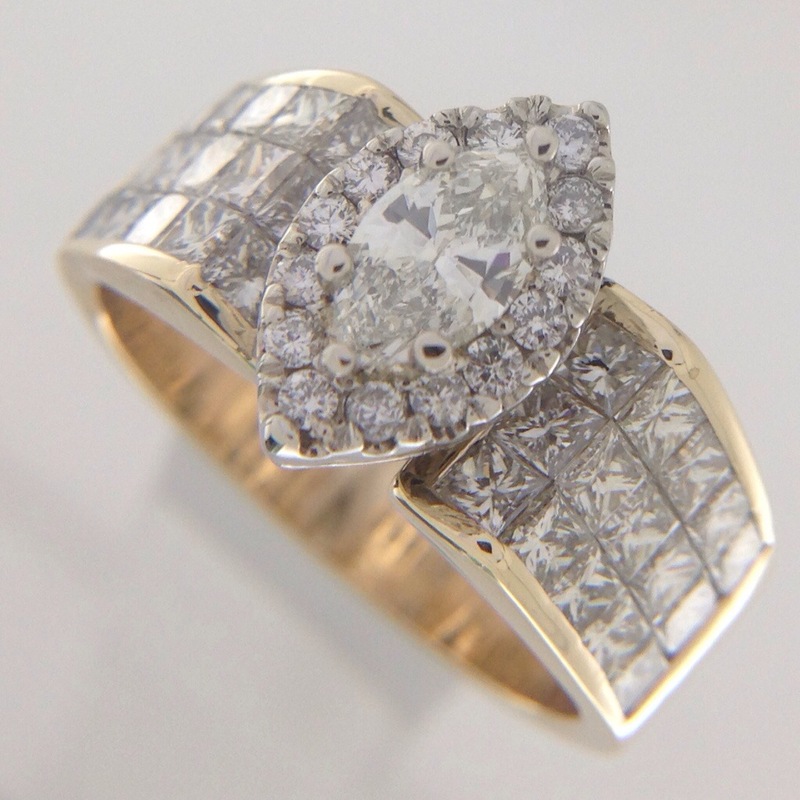 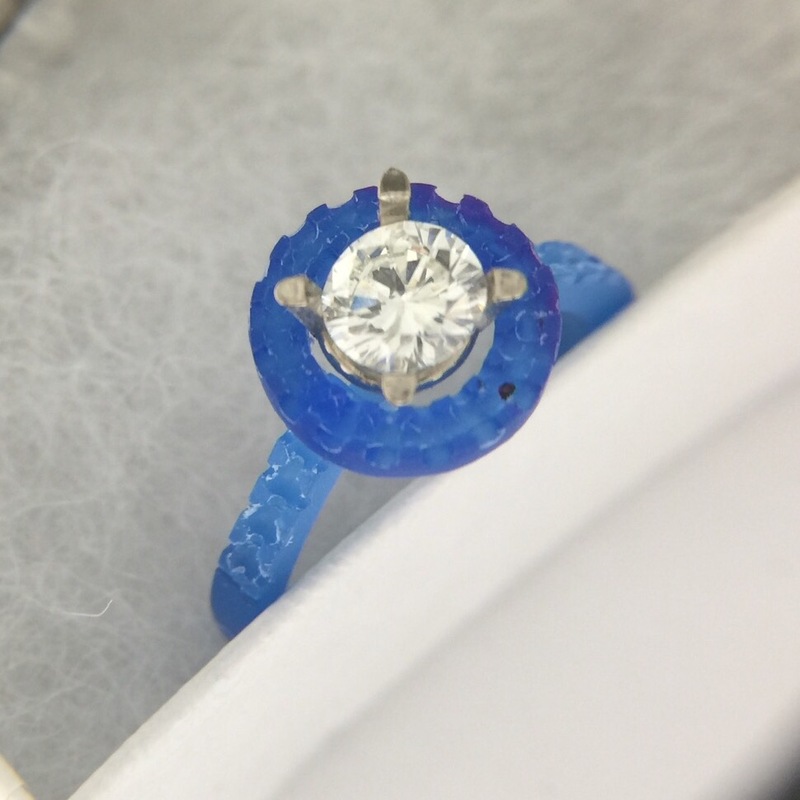 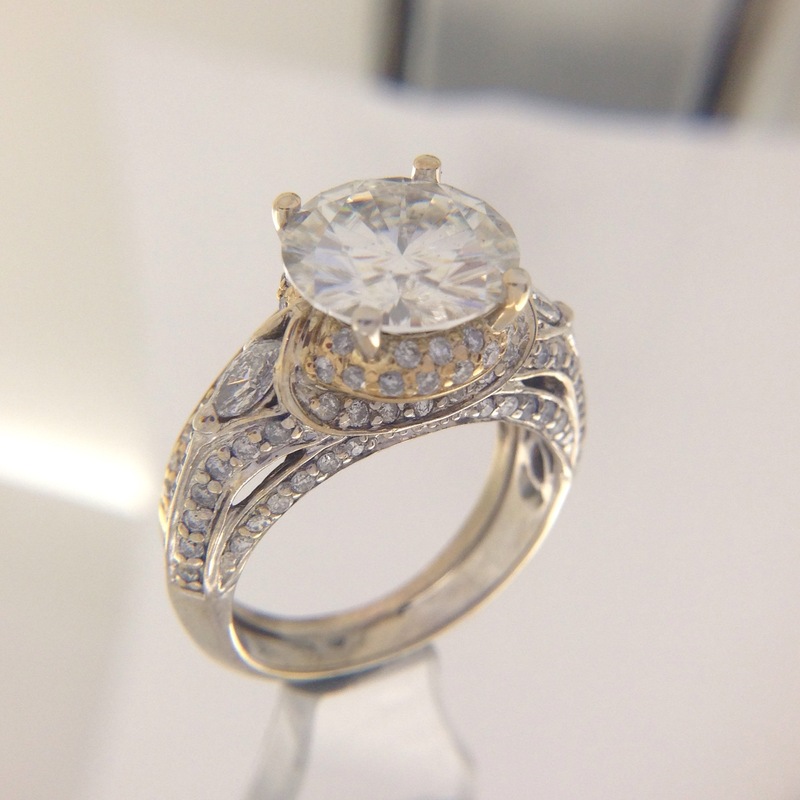 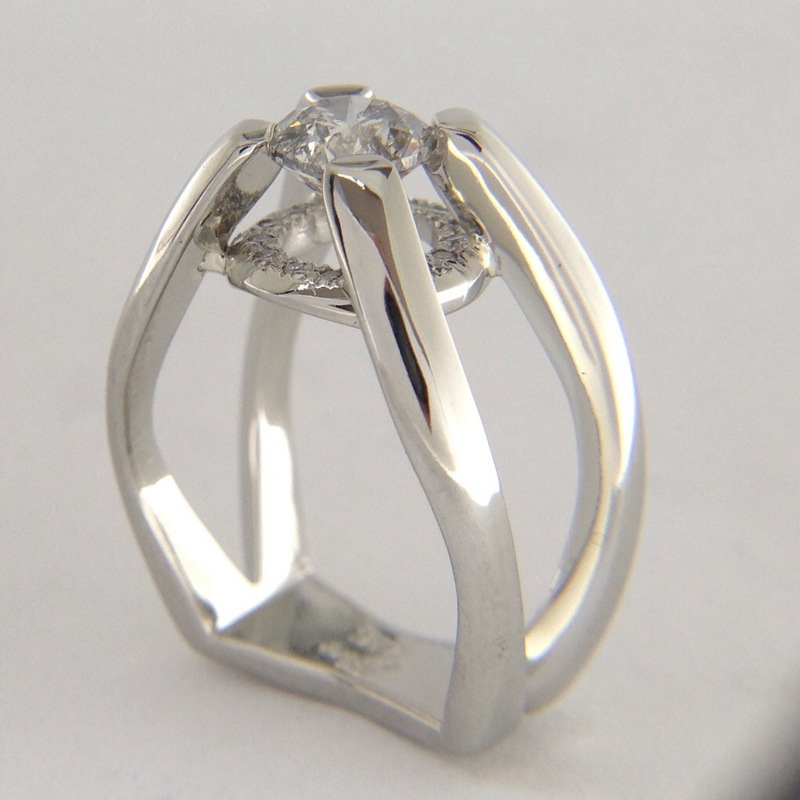 This project was to make a custom halo for a cushion cut diamond and add it to an existing mounting. 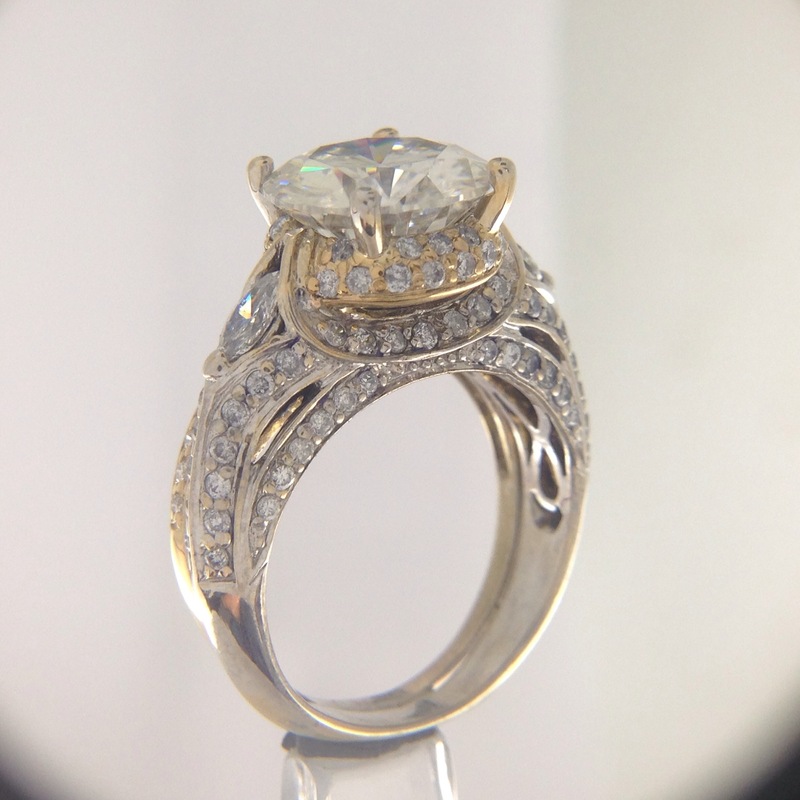 First, the existing gallery of the ring was removed to make way for the new top. 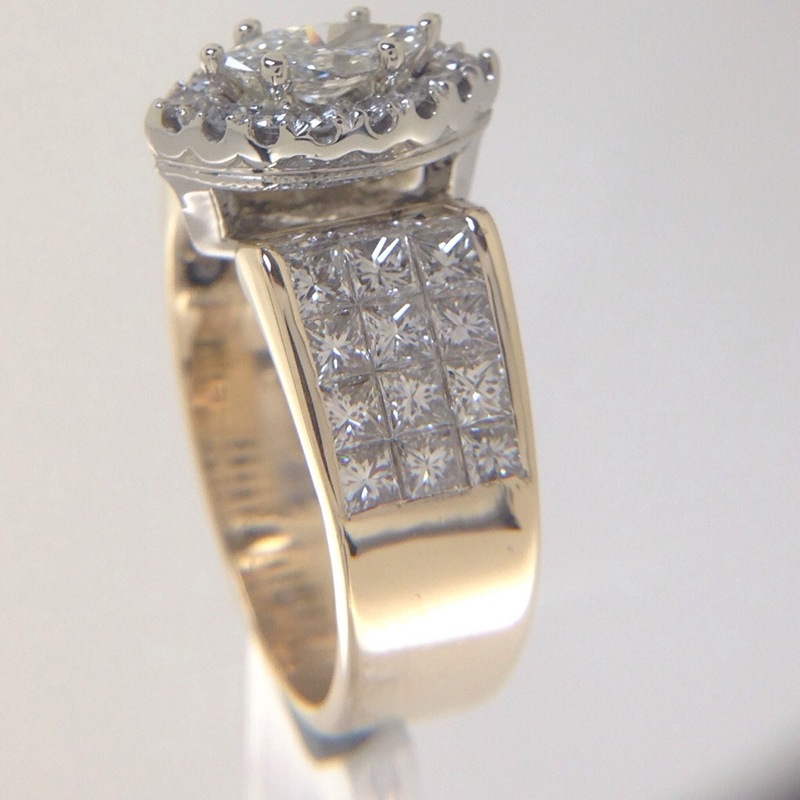 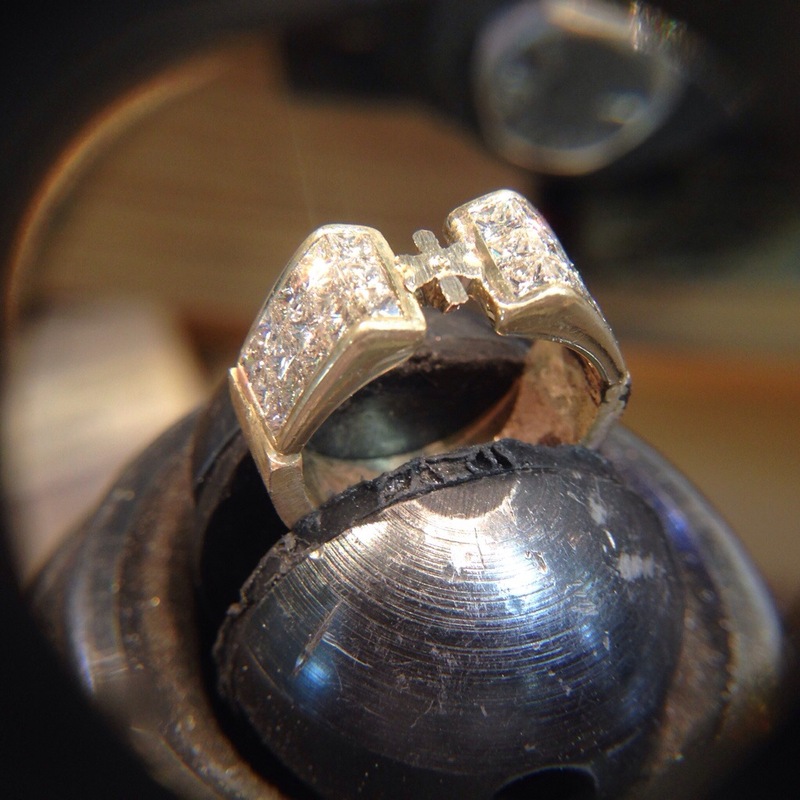 A wax was carved to house the beautiful main diamond and the side melee diamonds. 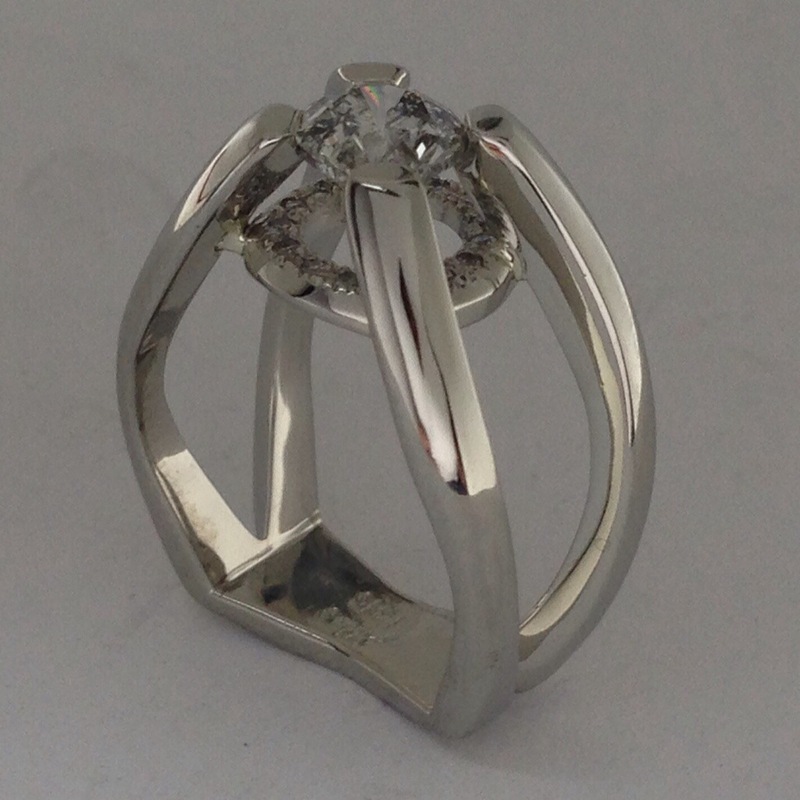 After casting it was fitted up with bead set diamonds and soldered in place on the prepared mounting. 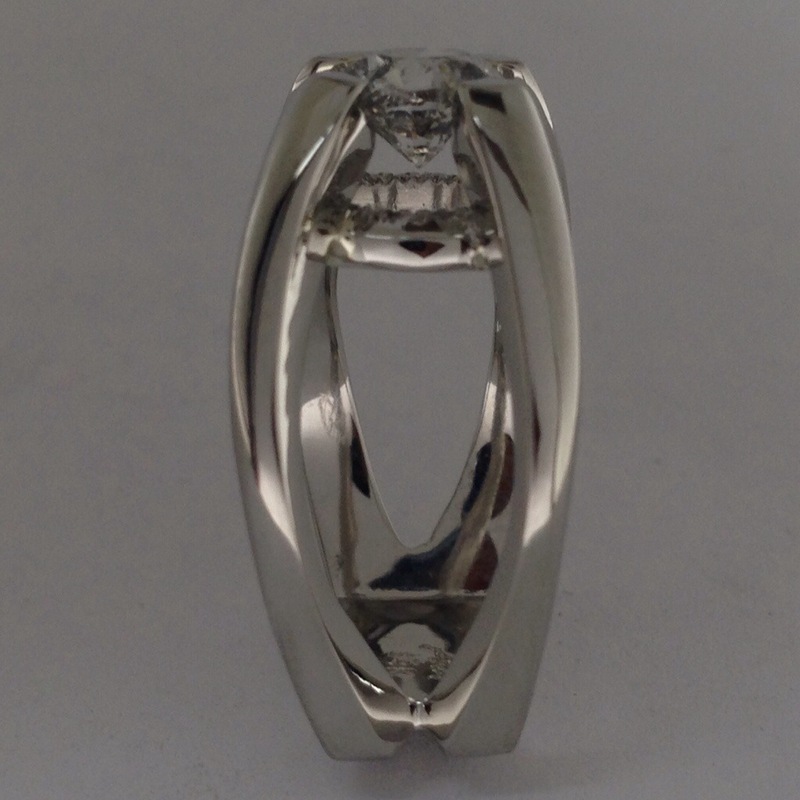 The center stone was set and the piece polished. 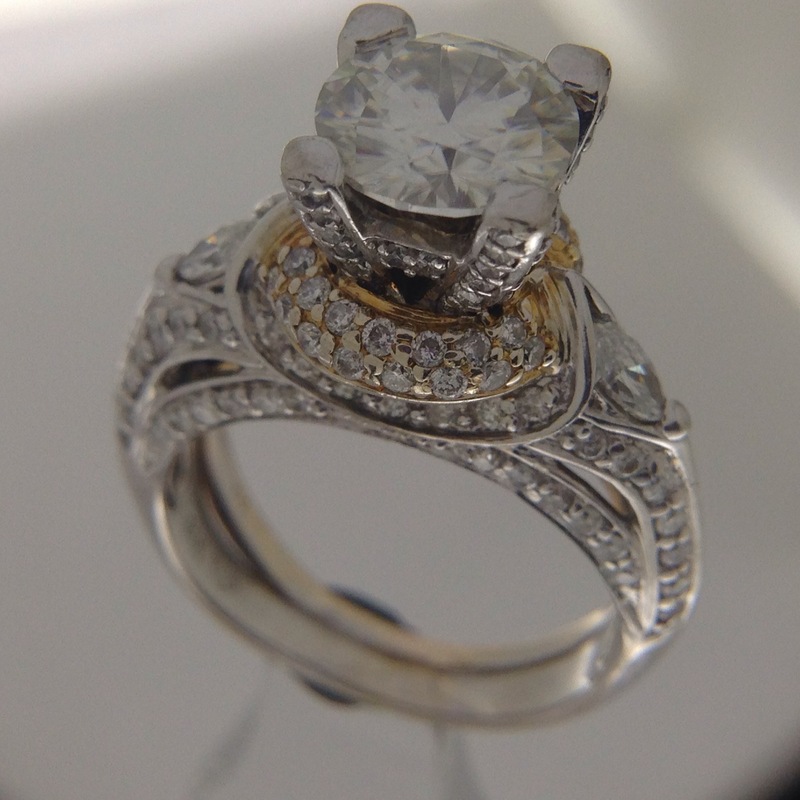 Kudos to Fred on all the fine work he did on this one.